Specialized's Butcher tires started life as downhill-only models and you can still pick up either the downhill or freeride versions. What you see here, however, is the much lighter, all-mountain flavored version. Weighing in at a respectable 810 grams, the Butcher Control is no flyweight tread, but for a meaty 29er tire that you can run tubeless, it's actually more than respectable in the grams department. Of course, if wagon wheels aren't your style, the Butcher Control is also available in 26er (730 grams) and 650b (755 grams) versions. I've been running the Butcher Control as a front tire (paired with a Purgatory in the back) and have been mightily impressed with it. The prominent shoulder knobs grab tenaciously in both wet and dry conditions. 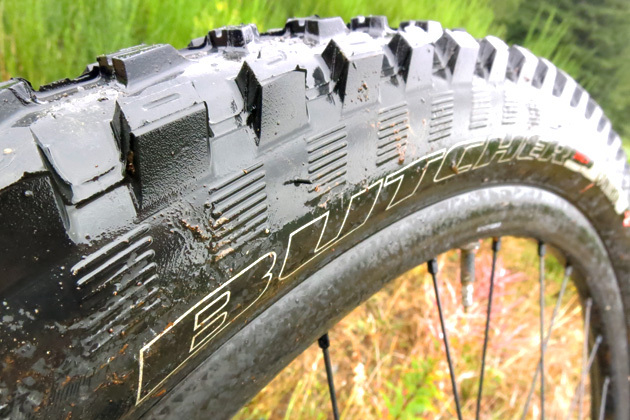 True, there are probably better hardpack tires out there, but since my local trails tend toward either wet and loose or dry and loose, I was a happy camper with the way the Butcher Control steered my ride. The Butcher's center knobs are fairly low profile, which reduces rolling resistance. Granted, that's less of an issue in a front tire, but still, it's appreciated. The Butcher Control works well as a front tire. The prominent shoulder lugs dig in well in loose conditions. The evenly spaced knobs also shed mud exceptionally well. I ran the Butcher's tubeless and found them both easy to set up (didn't even need a compressor to get the job done) and problem free over the long haul. That said, the casing isn't as bullet proof as what you'll find on some other tubeless-ready tires, so if you live in a place where jagged rocks predominate, you might not be singing the same happy tune as me. Of course, the flip side is that tires with burlier casings tend to also weigh a couple hundred more grams – pick your poison. Personally speaking, I'd love to see Specialized increase the tire width just a hair. The Butcher Control is a healthy 2.3-inches, but I'd gladly accept a few more grams in exchange for a slightly fatter Butcher. 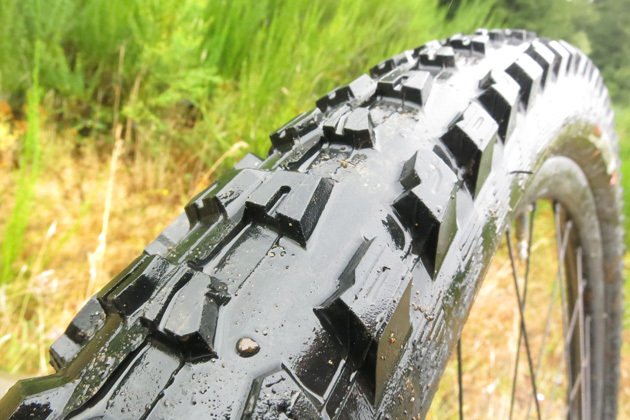 Traction is equally good in wet and dry conditions — a big plus if you live somewhere with real seasons. Added bonus, the Butcher sheds mud like a champ. While I can think of tires with even more aggressive shoulder knobs and better cornering bite, the Butcher Control is a good all-rounder. Plus, at $55, I can actually afford this tire … and that never hurts.